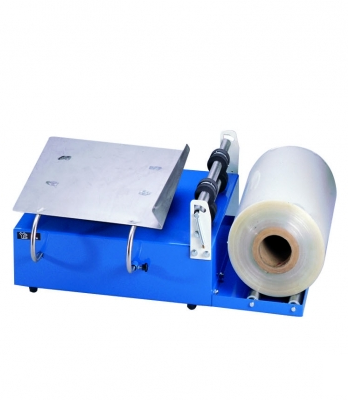 This large manual film dispenser is designed to dispense up to 600mm wide centerfold film whilst splitting and perforating the film. Perfect for use as when prepacking with YC800LB L-Sealer for shrink wrapping applications. Ideal for medium to high volume applications (approx 1000-2000 packs per day).